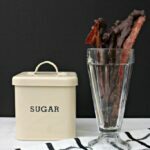 You are here: Home / Food / Easy Maple-Candied Chocolate Bacon Recipe! Everything is better with bacon. At least almost every single thing that I have tried with bacon has been a homerun and while it tastes amazing wrapped around a filet mignon or topping a delicious deluxe burger, there is no denying that it is amazing all on its own. As a Canadian, there are but a few things that we love with immense and patriotic spirit and those are maple syrup, coffee, chocolate and bacon. Do I dare say, we love bacon almost as much as we love our significant others, right? So I thought, what better way to embody and enjoy all 3 together? Did you know that males and females equally agree that adding bacon to the Valentine’s Day menu will be a hit? And young lovers, millennials aged 18 to 35-years old, are the most likely (21%) to want to treat their partner to a meal featuring bacon. In fact, I know that Darasak and I are never disappointed when we add bacon to our meals whenever we cook together. Well, my friends, I have come up with an incredibly easy and sinfully delicious recipe for ‘Maple-Candied Chocolate Bacon,’ oh yes friends, you read that right. Best of all, it takes 5 minutes to prepare, 30 minutes to cook and 10 minutes to garnish. These make the perfect hors d’oeuvres or after-dinner dessert. The bacon is slathered with real maple syrup and baked to form a divine candied crust. It doesn’t stop there! After it comes out of the oven– it will get a half dip into creamy chocolate. Serve it with espresso or coffee or if you’re feeling particularly fancy, enjoy it with dessert wine. It is the best of all worlds! Mouthwatering, smoky bacon covered in a hard candy maple and brown sugar shell. Half-dipped in chocolate. This treat will rock your world! Take a rimmed baking sheet and wrap it with aluminum foil and top with a wire rack. Mix your maple syrup and brown sugar in a bowl until fully combined. Remove bacon from package and carefully place bacon into bowl and "toss" carefully. Make sure that bacon slices are covered evenly. Take your maple and brown sugar covered bacon and place in a single layer on rack. Place tray in the center of the oven and bake for about 20 minutes, give it a check and if it is browned, give it another 10 minutes. This will help give it a crispy, candied texture and avoid a softer chewier version. Remove the bacon from oven and let it cool for about 5 minutes. 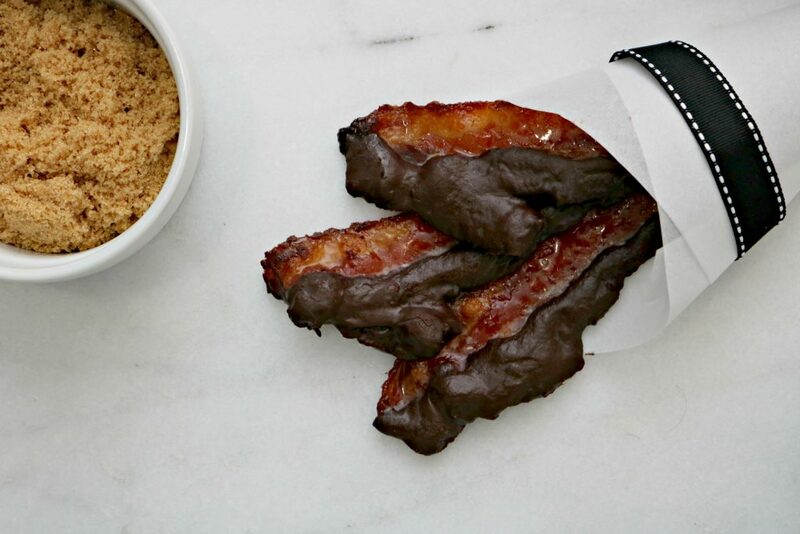 Take bacon and proceed to dip into the baking sheet with pre-prepared chocolate. Dip half of the bacon slice horizontally leaving one half displaying the mapled bacon. Place on another parchment lined baking sheet and let it harden or place into fridge until chocolate hardens. Take a pot and fill it with water about half-way. Boil the water and place a glass bowl on top. This will create a double boiler. Add heavy cream and slowly stir in chocolate until smooth. Pour onto parchment lined baking sheet or loaf pan in preparation for bacon. You can use the excess chocolate, if any remains, as a chocolate bark. Simply break or chop a couple strips of bacon and sprinkle onto chocolate. Place in fridge, remove when hardened, break and enjoy. This #duBretonDelicious recipe can be served on its own, as a garnish on your favorite dessert or an hors d'oeuvre! Pair it with coffee, espresso or dessert wine and enjoy! The trick to an ambrosial treat like this really lies with the bacon you choose. I chose duBreton’s Smoked Bacon. It is thick-cut, naturally smoked, free of antibiotics and added nitrates or nitrites and Certified Humane. In other words, delicious, natural and juicy bacon you can feel good about! Now armed with this recipe, you’ll be a hit at any party. With Valentine’s Day coming up, this Maple-Candied Chocolate bacon makes for the perfect sensual dessert that you can eat with your hands. Believe me, people always think that bacon cannot possibly go with something sweet. Then they take one crispy bite of sweet and smoky and they are hooked. Check out this video that will give you more bacon-filled inspiration. Don’t worry, it’s okay to drool! Have you ever tried bacon as dessert? Love hearing this! Hope you enjoy it. LOL, you are so sweet. I hope you do soon. I am not usually a fan of sweet and savoury together but this treat may convince me otherwise! Hehe, it just may Heidi. I thought the same until I tried it. Never going back! Never tried bacon as a dessert but I am sure it would be good, the combination of the salty & sweet would go well together. Will have to try it out at some point. I am drooling over this right now. I have to make this for me & my husband ASAP. This looks amazing!! I can’t wait to make this, bacon and chocolate go so good together. 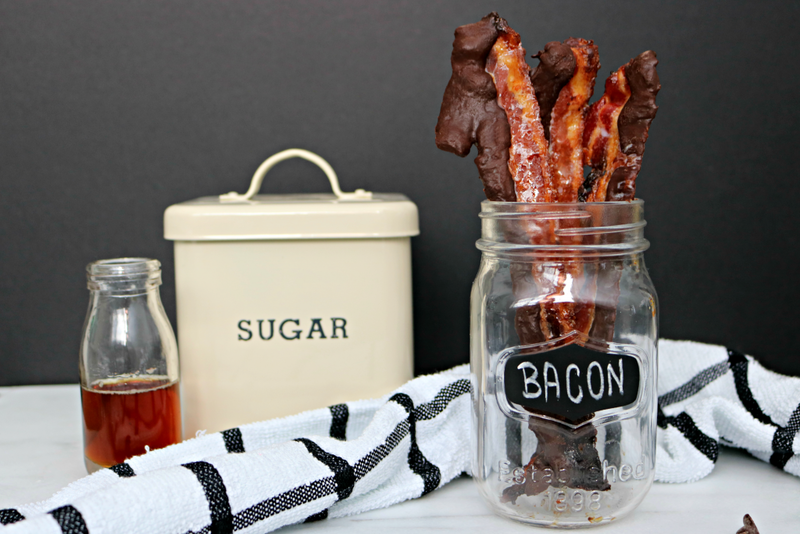 I made candied bacon last year and it was such a hit! I want to make another batch to go along with my new biscuit recipe. I am excited to give this recipe a try. I will have to get the ingredients I need to make some this week. Oh my this looks amazing and so easy to make. I will definitely be making this for dessert this weekend. Bacon is always a family favorite. Oh bacon how I love thee! How amazing does this look! Hehe, not tootin’ my own horn but, it tastes pretty amazing too. Oh my goodness! Candied bacon? I must make this for my husband! Yes! He will love it! My husband is a huge bacon freak…fanatic….whatever you want to call it! This would seriously make him cry if he saw it. Yum! LOL, well, now you have to make it! My kids would love this! I am definitely going to have to make this with our special breakfast we do on the weekend. Definitely great for any ocassion! Chocolate covered anything tastes good. Bacon is simply delicious anyway so I can assure you this would definitely taste good! I have to agree Jennifer! Ahhh! You have combined two of the best things ever devised by man – bacon and covering anything in chocolate. I must have this in my life. Holy moly. I don’t think I’ve ever seen a tastier looking sweet and savory recipe ever. Om nom nom. Anything with bacon sounds amazing!!! I have never had bacon like this, would be great to try out! You have to give it a go! Oh my heck! How did I not know this was a thing sooner? I cannot wait to get this in my tummy! LOL, you will love it! My husband LOVES bacon. He would flip for a treat like this. Looks great! I love Bacon everything. I am excited to give this recipe a try. I am sure it will be a big hit. Chocolate and bacon? I haven’t tried this, but it sounds like a great combo. I can’t wait to try this. Hope you love it like we do. Well, now you have to give it a try. I have never thought to make this combo before but it sounds like it is worth a try/ Very creative! Hehe, you would not expect it to work. But, it totally does. I know a lot of people that would LOVE this bacon, I’ll have to make this following your recipe and hand it out to friends and family : ) YUM! Yum, I bet this is so good. I will have to give this a try. Candied bacon. I’m all about this, we have a lot of great local maple syrup makers also. That is amazing! It would taste so good. My niece made this and i have to said one of the best treat i have ever had……sinfully delicious! That is awesome! So happy to hear. We had wine on the weekend and your maple chocolate bacon,omg and what a delicious combo it makes.Honestly as soon as it was all gone i wanted to make more….if it lasts long enough next time i will get a photo!! Yes, make sure to share it. I would love to see it! Glad you enjoyed it mdere! Awesome, I would love to see them.